The Mission of the BACC Legislative Action Team (LAT) is to serve as an advocate for Chamber members and the business community in local and state issues impacting quality of life, growth, and profitability of member businesses and their employees. Purpose is to increase the Chamber’s influence in the development of public policy concerning issues of critical importance to the future of the Bay Area and its businesses. Gets in on the action at the Oregon legislative sessions and helps shape local government decisions that will maintain a healthy business climate. Conducts candidate forums during election years. Join the BACC LAT which meets the first and third Tuesday, 7 am for video teleconferences, conference room at SWOCC (5th floor, room 505 Tioga Hall). We’ve passed the first major deadline of the 2019 legislative session. Health Care Tax (HB 2269) This unbelievable proposal would give the Oregon Health Authority agency the authority to determine what every large employer (defined as 50+ employees!) should be spending on health care for employees and authorizes the agency to levy a tax on every employer that does not meet the agency’s minimum health care spending requirements. The bill is designed to raise a minimum $500 million per biennium in new taxes, although it isn’t subject to the supermajority vote requirement to raise revenue. Cap & Trade (HB 2020) The new re-write of HB 2020, the ‘Cap & Trade’ bill, did nothing to alleviate cost concerns for manufacturers or everyday Oregonians. The new version of the bill would immediately add 16 cents per gallon in fuel costs and an immediate 30% increase in natural gas costs for residential, commercial and industrial customers. Large manufacturers will see similar and immediate cost increases for electricity. All told, we are still analyzing this bill as a $1.4 billion increase in costs for Oregonians each biennium. The vast majority of direct costs will be borne by manufacturing and transportation. Business Tax Increase. Our expectation is that Democratic leadership will lean toward selecting a Commercial Activity Tax, which is a pure gross receipts tax, as the basis for implementing a new business tax to add more than $2 billion in revenue each biennium into the state’s K-12 system. At this point, it does not appear that PERS reform or any other government cost savings will accompany this tax proposal. A growing coalition of business organizations, including OSCC, are now going on record as opposing a new gross receipts tax. Marijuana Accommodation (SB 379) Our biggest disappointment of the Friday deadline was that the Senate Judiciary Committee is going to attempt to pass its marijuana accommodation bill. OSCC felt very strongly that we had helped defeat this bill, but Senate Judiciary Committee chair Floyd Prozanski (D-Eugene) is going to make a last minute push to pass it. SB 379 would undermine and nullify all employers’ workplace drug-free policies and would require employers to accommodate off-duty marijuana use. This is the week that Senate President Peter Courtney is slated to return to the legislature from his 10-day ‘medical leave.’ Many have speculated that President Courtney will take the opportunity to step away from leadership and the legislature, but we have no reason to believe this is the case. We expect him to return. We continue to be amazed that every major revenue-raising proposal is still on the front-burner so far this session. There continues to be a full court press by legislative leadership to pass a major business tax increase and a carbon pricing bill (cap and trade) and a paid family leave system, and another round of Medicaid taxes. The cumulative tax impact of all of these measures could easily approach $5 billion per biennium! Finally, the flood of new 2019 legislation has ended. New bills are now coming out in a trickle. As of this today, about 2,500 pieces of legislation have been introduced for the 2019 legislative session. This represents approximately 90% – 95% of all the legislation we expect to see in 2019. From this point forward, every legislator has five (5) priority bills that they can introduce. This means we could potentially see another 450 bills introduced, but it is more likely that we’ll see just a fraction of that amount. The next few weeks will be intense due to looming deadlines. Bills need to be posted for committee votes by the end of Friday, March 29th in order to receive further consideration. By Tuesday, April 9th, all bills need to be voted out of their original committee in order to survive. Cap & Trade. (HB 2020) On Monday, the Joint Committee on Carbon Reduction heard from the Oregon Department of Forestry about sequestration on Oregon forestland. The report explained that Oregon forests sequester half of all carbon that we emit annually (31 million metric tons of carbon). The presentation was eye-opening, particularly since Oregon’s carbon reduction goals that were set in the early 2000s were developed without acknowledgment of the sequestration potential from Oregon’s farms, forestlands, or even urban tree stands. In light of this new information,the state is already well-on-its-way to meeting the carbon reduction goals established by the bill. The Joint Committee is still working on amendments to HB 2020, which should be available at the end of the week.We are expecting brand new amendments, and perhaps a total re-write of the bill, to be unveiled this week. We are not anticipating major improvements to the bill, but because the amendments are being closely guarded, we really have no idea what the new amendments will include. There are currently not enough votes to pass this bill, but we believe a bill will pass. It will likely undergo numerous re-writes over the next few months to accommodate concerns from OSCC and others who represent businesses that will be impacted. Kicker. (HB 2975) OSCC missed this bill, as did every other business group, but House Republicans found out at the 11th hour that HB 2975 included an accounting change that reduced the upcoming kicker by over $100 million by transferring this money into the next biennium. HB 2975 has the effect of adding an additional $100 million of revenue into the 2019-21 budget by taking it out of the $748 million personal income kicker due to taxpayers next year. Age Discrimination. (HB 2818) On Wednesday, House Business & Labor Committee held a hearing on HB 2818, which makes it an unlawful employment practice for an employer to seek the age of an applicant or to include certain words or phrases in recruitment that suggest age preference. The most problematic part of HB 2818 is the penalty structure. Under this bill, a court may award liquidated damages equal to twice the economic compensatory damages awarded or $25,000, whichever is greater. OSCC has joined a coalition business groups to oppose HB 2818. Lawsuit Damages. (HB 2014) We were very surprised to see this bill posted for a committee vote on Monday afternoon in House Judiciary. OSCC testified alongside local physicians and health care providers against HB 2014 in testimony that far outweighed the trial lawyer proponents. HB 2014 would repeal Oregon’s legal limit of $500,000 on non-economic damages in personal injury and negligence lawsuit claims. OSCC, health care groups, and business organizations are opposing this legislation because it is a significant factor in driving up health care costs and general liability costs for employers. Lodging Taxes. (SB 595) We continue to be amazed at the movement of SB 595, which allows local government to use 30% of all new local lodging taxes to fund “affordable, workforce housing.” It passed the Senate Housing Committee two weeks ago and now gets consideration in the Senate Finance & Revenue Committee this week. Ensures that training and education are the first steps towards compliance. 2% Kicker. (SJR 23) The Senate Finance & Revenue Committee will be considering the referral of a ballot measure that would put all 2% personal kicker monies into an account to fund education. OSCC has issued an ACTION ALERT for HB 2498 (Independent Contractors) for the House of Representatives. THANK YOU FOR THE GREAT RESPONSES. OSCC is literally changing the outcome on this legislation! Let’s continue to pour it on! To date OSCC has generated 201 letters to legislators on this bill. OSCC has issued an ACTION ALERT for HB 2020 (Cap & Trade) for all legislators. PLEASE RESPOND ASAP WITH YOUR MESSAGE. To date, OSCC has generated 208 letters to legislators on this bill. Our goal is 1,000. Save the Date for Family Leave Hearing! On Monday, March 25 at 6pm, the House Business & Labor Committee and Senate Workforce Committee plan to host a joint public hearing on paid family & medical leave bills that would SIGNIFICANTLY alter Oregon’s business climate. We need local Chambers to show up that evening to speak out about the impact of this extreme legislation! An action alert will follow later this week. First off, Senate President Peter Courtney takes a 10-day ‘medical leave’ to deal with the stress of the session and its impact on his Grave’s Disease. There is wide speculation that he may not return. We aren’t able to separate fact from fiction at this point, so our assumption is that he will return. If he does not return, the trajectory of the session and the Democrats’ ability to pass major progressive legislative priorities is certainly imperiled. The second major event of the week was the release of the Ways & Means Co-Chairs’ 2019-21 budget blueprint. The budget proposal only left K-12 and Medicaid harmless. All other state programs, including early education, higher education, and CTE were cut short of ‘current service levels.’ The hue and cry that ensued, primarily from the government employee unions and higher education advocates, added more fuel and momentum for additional business taxes. Finally, we have grown increasingly concerned that SAIF Corporation will indeed be targeted for a raid of its workers’ compensation claims reserves to buy down PERS rates for K-12. We have reached this conclusion as it has become clear that any increase in business taxes will be absorbed almost totally by increased PERS costs within two short years. This would make it much less likely that business and/or voters would approve of any additional taxes. We are getting the distinct impression that Democratic leadership will try and force a choice to buy down PERS rates: either suspend the $748 million personal ‘kicker’ and divert it to paying down PERS rates for K-12 schools or face the prospect of taking a similar amount out of SAIF’s reserves. Cap & Trade. (HB 2020) We are expecting brand new amendments, and perhaps a total re-write of the bill, to be unveiled the week of March 18th. We are not anticipating major improvements to the bill, but because the amendments are being closely guarded, we are unsure of what the new amendments will include. Independent Contractors. (HB 2498) OSCC was very successful in getting quick grassroots feedback into the House Rules Committee in opposition to HB 2498. As a quick reminder, HB 2498 would have turned Oregon’s independent contracting laws upside down, jeopardizing thousands of jobs. OSCC joined several other business organizations to testify last Monday. We were joined by Keizer Chamber’s Dan Kohler, who spoke about about the detrimental impacts to insurance, funeral home, and salon contractors. The Committee is weighing options as it considers a different path forward. Thank you to Bend Chamber and all who weighed in! Corporate Tax Increases. It is becoming clearer that the Revenue Subcommittee of the Joint Student Success Committee is starting to hone in on a new Commercial Activities Tax (CAT) as the basis for adding new revenue to the state’s K-12 system. There is an outside chance the committee may support a Business Activity Tax (which allows deductions for capital expenditures), but early indications are that Democratic leadership is favoring the CAT, which in its current modeling, would be a straight 0.48% tax against a company’s topline sales. This would be in addition to Oregon’s corporate income tax. The subcommittee is clearly trying to raise a net $1 billion extra per year from Oregon companies. Lawsuit Damages. (HB 2014) OSCC testified alongside local physicians and health care providers against HB 2014 in the House Committee on Judiciary. HB 2014 would repeal Oregon’s legal limit of $500,000 on non-economic damages in personal injury and negligence lawsuit claims. OSCC, health care groups, and business organizations are opposing this legislation because it is a significant factor in driving up health care costs and general liability costs for employers. Employment contracts. (HB 2489) OSCC is closely watching HB 2489, which would substantially shift the relationship between employers and employees in Oregon. The bill eliminates an employer’s ability to enforce agreements if they aren’t written and disallows employment contracts of longer than two years. A preliminary hearing is scheduled this week in House Business and Labor. OregonSaves penalties. (SB 164) This bill is tentatively scheduled for a work session on Thursday. SB 164 would add penalties to the Oregon Retirement Savings Program, which passed in 2015. OSCC worked with the Treasury and other business stakeholders to address our concerns with the initial bill, and these changes will be reflected in a -3 amendment. Age discrimination. (HB 2818) The House Committee on Business and Labor is planning to host a hearing on HB 2818 on Wednesday. This bill makes it clear that employers may not screen job applicants based on age and adds new and substantial penalties to violation of age discrimination laws. OSCC has issued an ACTION ALERT for HB 2498 (Independent Contractors) for the House of Representatives. OSCC has issued an ACTION ALERT for HB 2020 (Cap & Trade) for all legislators. PLEASE RESPOND ASAP WITH YOUR MESSAGE. To date, OSCC has generated 202 letters to legislators on this bill. Our goal is 1,000. The death of Secretary of State Dennis Richardson this past week also cast a pall over the session, both emotionally and from a process standpoint. The Governor has the lawful ability to appoint a successor to the late Secretary Richardson, and has stated her intention to find a ‘placeholder’ who will promise not to run for election in 2020. This upcoming week is going to represent a major milestone in the 2019 session as the ‘Co-Chairs Budget’ will be released. This is the legislative response to the Governor’s budget that shows how state budget writers would craft the state budget with available resources. It is the first key budget blueprint that shows how the state’s money would be allocated without any additional tax increases. The ‘Co-Chairs Budget’ provides the budgetary foundation for all additional tax and revenue discussions. Usually, it will spawn advocacy for additional taxes and budget investments. Cap & Trade hearings provided a dose of reality. Hearings in the past week in Newport, Baker City, The Dalles, and Bend provided lawmakers with the stark reality that not all Oregonians are clamoring to pay more for their gasoline, natural gas or electricity to put only a very miniscule dent in Oregon’s greenhouse gas reductions. In what was expected to be a showcase for the organizing strength of the environmental activists, something else happened….regular working Oregonians showed up and voiced their displeasure with HB 2020 and its associated costs. Medicaid taxes passed. Final passage of the first major Medicaid funding bill, HB 2010, happened this past week. The bill raised over $500 million and will go a long way to closing the state’s $623 million budget gap. OSCC issued a floor letter on HB 2010. Our intention was to make sure that legislators understood that HB 2010 will raise over $291 million per biennium from local businesses. It was the first major business cost increase from the 2019 session. OSCC opposed HB 3022 which overturns Oregon’s landmark workers’ compensation reforms. OSCC testified against HB 3022 last week, a bill that would have reversed many key, cost-saving provisions in Oregon’s workers’ compensation system. Before 1990, Oregon had the highest frequency of workplace injury claims, third highest medical costs, and sixth highest premium costs. Today, we have some of the lowest rates in the country and safety programs that help reduce workplace injuries. Oregon’s workers’ compensation insurance system is one of the last remaining competitive advantages for Oregon companies and OSCC will vigilantly safeguard the system from being compromised. Oregon revenue forecast added another $67 million to state coffers for the upcoming 2019-21 budget cycle. The state is experiencing a rush of short-term revenue that will slightly ease the budget crunch for the upcoming budget cycle. The “kicker” rebate projection was also increased to a whopping $748 million. Independent Contractors. (HB 2498) On Monday afternoon, the House Rules Committee will consider importing California’s troubled Dynamex decision. In April 2018, the California Supreme Court determined that independent contractors must meet a new strict “ABC” test in order to maintain their status. That decision impacted 2 million independent contractors in California, making them employees! Now Oregon is looking to follow suit. HB 2498 would add a new test to Oregon’s independent contractors: “Do you provide a service different from the business you are working for?” If the answer is “no,” HB 2498 would reclassify you as an employee of the business. Implications are broad-doctors, hairstylists, insurance agents, realtors, and many others will be impacted if HB 2498 passes. Lawsuit Damages. (HB 2014) This bill is scheduled for a public hearing in the House Committee on Judiciary this Tuesday. HB 2014 would repeal Oregon’s legal limit of $500,000 on non-economic damages in personal injury and negligence lawsuit claims. OSCC, health care groups, and business organizations have traditionally opposed this legislation because it is a significant factor in driving up health care costs and general liability costs for employers. We have now completed four weeks of the 2019 legislative session. No deadlines are imminent. Committees have a full two months to work on current legislation. New bills continue to dribble out at a very slow pace – about 1,800 pieces of legislation have been introduced so far. Our observations are largely unchanged from last week. The two major bills that are moving quickly – rent control (SB 608) and the first Medicaid funding bill (HB 2010) – will likely get very close to final passage this week. The other major bill now in full swing – cap and trade (HB 2020) – will get a public hearing in the Capitol on Monday night, a public hearing in Springfield on Friday, and a public hearing in Medford on Saturday. Additionally, as we noted last week, the legislative conversations are now underway on a major business tax to fund K-12 education. This discussion is happening in the Joint Student Success Committee on Tuesday evenings. Already, it appears there are major hurdles to passing additional tax revenues for schools – namely the potential cumulative effect of all the tax and regulatory bills that Legislative Democratic leadership wants to pass before considering a new business tax for schools. Medicaid Funding will likely pass the House and maybe even the Senate. (HB 2010) This is the bill that will implement the first stages of Medicaid funding proposed by the Governor – the Hospital provider tax ($98 million) and the insurance/provider tax ($410 million). OSCC has ascertained that $291.6 million of this package will be a direct tax on small business health insurance premiums. This is the first direct tax on local business in the 2019 legislative session. Rent Control will get a Senate vote this week. (SB 608) After passing the Senate last week on a party-line vote of 17-11, we expect this bill to pass quickly out of the House Human Services Committee on Wednesday this week. SB 608 has two key features: (1) it limits rent increases to 7% plus CPI in all buildings over 15 years old, and (2) disallows no-cause evictions after one year. Cap & Trade public hearings now in full swing. (HB 2020) There will be three hearings on Cap & Trade this week. Monday evening at 5pm in the Capitol. Friday at noon at the Springfield City Hall. Saturday at 9am at Central Medford High School. OSCC participation will be needed. OSCC has issued an ACTION ALERT with messaging points. Small business tax cut repeal. (SB 211) OSCC is disappointed, but not surprised, to see the Senate Finance & Revenue Committee taking up the issue of repealing Oregon’s lower tax rates for pass-through businesses on Tuesday. Oregon’s ‘small business tax cut’ law currently imposes lower tax rates on the first $5 million of business income. SB 211 would apply lower tax rates to only the first $415,000 of business income and then would completely repeal the ‘small business tax cut’ altogether starting in 2026. We do not yet know how this issue will develop. Unemployment Insurance for Federal Employees. (SB 722) We will be watching this issue closely as legislators are looking to extend unemployment benefits to federal workers (who do not pay into the state system) in the event of a federal government shutdown. It appears the financial impacts of the legislation are negligible, but it does represent an additional demand on the state unemployment system which is neither paid for nor accounted for. Property taxes. The Senate Finance and Revenue committee will take testimony on proposals to repeal property tax limits (Measure 50). We do not believe this issue will get traction in 2019, but we do believe that momentum is gradually growing for property tax reform that would loosen current limits or re-establish market value as the basis for tax assessments. Transient Lodging Taxes for workforce housing. (SB 595) Interesting proposal in Senate Housing Committee this week that would allow local governments to use previously dedicated TLT funds and apply them to local workforce housing development. This represents yet another potential fight for TLT funds, which to date, are 70% dedicated to tourism and tourism promotion. Broadband Deployment / Cell Phone Taxes. (HB 2173, HB 2184) An interesting debate is taking shape on the issue of broadband deployment and fully capitalizing the Oregon Universal Service Fund (OUSF) which finances broadband infrastructure. Currently, landline carriers must pay into the OUSF (this money is collected in a tax on customers) while wireless carriers are exempted. HB 2184 would eliminate the exemption on wireless carriers, which would translate effectively into a ‘cell phone’ tax. This issue pits the landline carriers versus the wireless carriers. In the meantime, traditionally conservative rural groups (ie The Oregon Farm Bureau) are supporting the tax. The House Economic Development Committee is hosting this debate. OSCC does not yet know the direction of this issue. Bans on single-use checkout bags, polystyrene containers. The House Environment and Energy Committee will host a public hearing on legislation to ban the use of single-use plastic checkout bags and polystyrene containers that are popular for take-out food. The plastic bag ban is HB 2509, and the polystyrene container ban is HB 2883. Health care data. (SB 703) The Senate Judiciary Committee will consider legislation this week that would ban the HIPAA -compliant transfer of de-identified data without individual consent. SB 703 could have significant impacts on medical research, observational analyses and the development of genetic-based medicine. The bill was introduced at the request of Hu-manity.co, a company seeking profit from sale of its blockchain technology platform. OSCC has issued an ACTION ALERT for HB 2020 (Cap & Trade) for all legislators. PLEASE RESPOND THIS WEEK WITH YOUR MESSAGE. OSCC asks for your assistance to shine a light on the negative impacts of cap-and-trade. Individual chambers can start by joining the Partnership for Oregon Communities. The Partnership will coordinate grassroots voices with concerns about the rising costs of fuel and energy. Email jessicac@oregonchamber.org to join the coalition. OSCC will follow up as we learn of opportunities for public testimony and engagement with the legislature. Two major bills are moving quickly – rent control (SB 608) and the first Medicaid funding bill (HB 2010). One other major bill is now in full swing – cap and trade (HB 2020). Additionally, the legislative conversations are now underway on a major business tax to fund K-12 education. This discussion is happening every Tuesday and Thursday evening in the Joint Student Success Committee (Revenue Subcommittee). To date, the committee is looking at other state taxing models that utilize gross receipts – Washington, Nevada, Ohio, and others. At this point, it looks most likely that the committee will recommend a gross receipts-based tax and not additional increases to the state’s corporate income tax. Medicaid Funding will likely pass Ways & Means this week (HB 2010). This is the bill that will implement the first stages of Medicaid funding proposed by the Governor – the Hospital provider tax ($98 million) and the insurance tax ($410 million). Local hospital systems will support this bill because it eliminates the true tax that was levied on hospitals in 2017-19. However, the bill also increases taxes on commercial health insurance policies from 1.5% to 2%. These taxes will be passed through directly to small business customers. Single use straw ban (SB 90). This issue seemed to stall as committee members pressed for exemptions from the ‘straw ban’ for convenience stores and drive throughs as well as a local preemption that would prohibit more stringent local regulations. Environmental advocates oppose carve-outs and appear to now want to let cities and counties move forward with a patchwork of local regulations. Although SB 90 appears stalled for now, we don’t believe we’ve seen the last of this issue in 2019. Workplace marijuana accommodation (SB 379). In a touch of irony, the proponents for the workplace marijuana accommodation bill were late and almost missed the hearing. OSCC submitted joint testimony with the general business community in opposition to this measure. OSCC has an active ACTION ALERT on this issue. Please contact your senator and ask them to say ‘no’ to SB 379. Small business tax cut repeal. (SB 211) OSCC is disappointed, but not surprised, to see the Senate Finance & Revenue Committee taking up the issue of repealing Oregon’s lower tax rates for pass-through businesses. Oregon’s ‘small business tax cut’ law currently imposes lower tax rates on the first $5 million of business income. SB 211 would apply lower tax rates to only the first $415,000 of business income and then would completely repeal the ‘small business tax cut’ altogether starting in 2026. Workplace Marijuana Accommodation. (HB 2655) This is the House version of SB 379 that would make it an unlawful employment action to condition employment based on refraining from the off-duty use of cannabis. While the bill contains an exception for jobs where the work cannot be performed while impaired, there is currently no easy test to determine if someone is impaired while at the workplace. OSCC is opposing this legislation in the Senate because it is a direct affront on an employer’s ability to enforce a workplace drug-free policy. A hearing is posted on the bill this Tuesday in the House Business and Labor Committee. We do not expect the House to move its version. OSCC has issued an ACTION ALERT for SB 379 (Workplace Marijuana Accommodation) in the Senate. PLEASE RESPOND THIS WEEK WITH YOUR MESSAGE TO SENATORS! OSCC has made it exceptionally easy to contact your Senator and ask them to say ‘no’ to SB 379. Everyone has been working hard on recruiting new ambassadors. At the last meeting we had 22 people.. which is huge! 5 new ambassadors with potential for more. We have one Ribbon Cutting scheduled for April 13th, 1 PM at Bahama Boards. Our next Ambassador meeting will be on Thursday April 4th at Ciccarreli’s, noon. April’s B.A.H will be held at Painted Zebra Boutique, Thursday April 25th from 5p to 7p. Stacy and I would like to thank everyone for their support. It truly makes a difference when the team works together. delicious food and live music! The Natural Resources committee hold regular joint meetings with DTO the 3rd Friday of the month at 7 am and now has been moved from the Red Lion to The Mill Casino. The Oregon Department of Agriculture (ODA) and the Oregon Department of Fish and Wildlife (ODFW) announce recreational and commercial crabbing is now open for the entire Oregon Coast, free of restrictions. Crab samples taken from the area of Cape Blanco, north of Port Orford, to the California border indicate that levels of the marine biotoxin domoic acid have dropped below the closure limit. For commercial crabbing, ODA and ODFW have lifted the requirement that all crab harvested from Cape Blanco to the California border be eviscerated (gutted). An evisceration requirement will remain in place for all crab harvested from any area outside of Oregon with crab viscera samples for domoic acid of 30 ppm or higher, which includes all crab harvested off California at this time. It is always recommended that crab be eviscerated and the guts, or butter, discarded prior to cooking. When whole crab are cooked in liquid, domoic acid may leach into the cooking liquid. It is recommended to discard the cooking liquid, and do not use it in other dishes, such as sauces, broths, soups, roux, etc. The consumption of crab viscera is not recommended. ODA and ODFW will continue monitoring marine biotoxins in crab and shellfish to ensure the concentrations remain below the closure limit. Spring Bear application due Feb. 10 SW Oregon is now a controlled hunt like all other spring bear hunts. Here is the LAT Quarterly Report at present. The 2019 Legislative Session began 1/14. As of present, these are the items that OSCC and we at LAT will be paying attention to. There is always more to arrive for review and action. We at LAT will be informing you with abundant material as the Session processes along. We are meeting 2/5 and 2/19 this month, 7am @ CBVIC meeting room. The 2019 legislative session is now underway in Oregon. SB 608, a comprehensive rent control and tenant protection bill. Dozens of bills that increase individual, business, property, or product excise taxes. OSCC expects that several hundred new bills will be introduced this week. We will continue to screen all new legislation for impact on our local business communities. As with previous sessions, OSCC expects that the Senate will be the backstop on bad business bills. Although Democrats have expanded their majority to 18-12 in the Senate, a handful of key moderate Democrats will still control the flow of bills that pass. Senators Arnie Roblan (D-Coos Bay), Lee Beyer (D-Springfield), Betsy Johnson (D-Scappoose), Mark Hass (D-Beaverton), and Laurie Monnes Anderson (D-Gresham) will be the key bloc of Senators who will decide just how aggressive the legislature will be on issues of taxes and other progressive policies that will impact business. Rent control. Senate Bill 608 will limit rent increases to 7% per year in buildings over 15 years old and also prohibits no cause evictions for tenants after one year of tenancy. This is a key priority for Democratic leadership that will start receiving public hearings on February 4th. Cap & Trade. We are expecting to see the 2019 cap & trade bill for the first time by the end of this week. It will likely start receiving public hearings the week of February 4th. Business taxes. Starting this Tuesday, the Joint Student Success Committee will initiate its Revenue Subcommittee hearings on a potential tax plan that will meet the Governor’s objective of raising business taxes by $2 billion for K-12, Pre-K, and higher education. Single use straw ban. Senate Bill 90 would ban the use of single use straws. It will be heard in the Senate Environment & Natural Resources Committee on Tuesday. Workplace accommodations for pregnant employees. House Bill 2341 could require an employer to hire an additional person to do heavy lifting or to purchase equipment to allow an employee to stay in their job during the pregnancy. The bill is scheduled for a hearing in House Business & Labor on Monday morning. A similar policy has been adopted in Washington, but some business sectors have had issues with implementation. Biometric data collection. SB 284 would make it an unlawful employment practice to collect biometric data (e.g. fingerprints, retinol scans, etc.) from employees. There are still unanswered questions about the scope of the bill, which will be heard on Thursday in the Senate Workforce Committee. You can investigate the Bills at https://olis.leg.state.or.us/liz/2019R1 then look for the BILLS tab in the upper right corner. Click it and then you are able to search House and Senate Bills. Any concerns, contact me. J 541-404-1028 / thomascburdett@gmail.com . Continued execution of Chamber Benefit Marketing Plan. Promoting one of the reasons to join the chamber per month from the 10 reasons to join wheel. Checklist to interview exiting Chamber members to see how we can improve on our service. Looking for ways to enhance and expand our Social Media presence including the introduction of short videos. The Leadership Coos program is nearly halfway through the year, completing our fourth session with Health & Human Services in December. Class participation has been great and the participants are very engaged – even when we cover tough topics, such as child abuse in Coos County. The next session is called “How We Are Governed” and is scheduled for January 8. The day will include a tour of the Coos County Courthouse and an overview of State Courts with Judge Martin Stone. The Steering Committee is busy planning the 30 Year Reunion, which is scheduled for June 20, 2019 from 3:00 pm to 7:00 pm at the Oregon Institute of Marine Biology. The theme for the event is “Pearls of Wisdom”. There will be great food, music and lots of fun stories. Please mark your calendars and join us! Invitations will be sent via email very soon. Our meeting this month will be held at the Rodeo Steak house at noon, Thursday Jan 10th. We have 1 ribbon cutting so far in January. 186 N. 8th st (CB) open house from 4p till 7p with ribbon cutting at 5p. Please contact Lonni or Stacy if you have any question or would like to host a BAH. The education committee met during the fall term and had a robust discussion about Southwestern’s new Hospitality and Tourism Program. The SWOCC faculty received very useful feedback. The Junior Chamber is planning their annual Teddy Bear Toss Benefiting the Kids Hope Center on Saturday March 2nd. The education committee has identified the recipients the Educator of The Year Award. The next meeting is Monday January 14 at SWOCC in the “Black Box”. Jessica is stepping down as The Education Committee Chair. Jan 14 will be her last meeting. The Events Committee serves the Chamber by creating additonal revenue, creating networking opportunities for our members, and bringing local businesses together. We are always open to ideas and suggestions on improving existing events, creating new events, or parterning with others to bring more to our Chamber. The following is a list of upcoming events. Our next focus is the Directory Distribution and providing a prominient showing of the Chambers numbers as we deliver the new directory to our members. We will be asking Board members for participation in this event so please plan to participate. Your Chamber Transportation committee members over the recent months has been involved in the Coos Bay/North Bend TSP (Transportation Systems Plan) as volunteer, PAC (Public Action Committee) members. The Cities most recent Transportation System Plans were developed in 2004. Five years remain of the current TSP’s 2023 planning horizon but recent developments and plans necessitate an update. The Cities must update their TSP to maintain a 20-year planning horizon and comply with the Transportation Planning Rule (TPR). The Project includes two distinct areas, the City of North Bend and the City of Coos Bay. The cities are located in Coos County, Oregon on the Pacific Ocean. The City of North Bend is surrounded on three sides by Coos Bay, sharing its southern border with the City of Coos Bay, which is near where the Coos River enters Coos Bay. Together, they are referred to as one entity called either Coos Bay/North Bend, or the Bay Area. The study area is the boundary for the Project, which includes, at a minimum, City Limits, Urban Growth Boundary (“UGB”) and urban reserves. A TSP examines the City’s multimodal transportation system as a whole, considers planning for street maintenance, connectivity, access, safety and the impact of future growth throughout the network. In order to review the system that is most likely to affect an average Bay Area citizen or visitor, and to efficiently use time and resources for analysis, TSPs generally focus on the higher-order, arterial and collector street system. Arterials and collectors, by definition, provide connections across a city and between neighborhoods and activity centers. As such, the arterial and collector street intersections and corridors are the focus of the TSP Update. There has been progress made on the Transportation System Plan update and are ready for a PAC meeting and a public open house to discuss. We are looking to share the current information at an open house on December 12th, at the North Bend Library from 5 – 7 p.m.
Did you know that most participating members of the Chamber Transportation Committee are also SWACT Members, either currently or formerly (Southwest Area Commission on Transportation)? They include; Rick Skinner (Vice Chair), Ron Kutch, Art Poole, Martin Callery (now a member of the OTC, appointed by the Governor), Jim Hossley, Randy Dixon, John Sweet, John Rowe, Jennifer Groth, Mark Usselman. The membership is currently working on how to become more assertive with ODOT, as a it has to do with its area management and infrastructure needs with HB 2017 spending. If you would like to join us, you can contact the Chamber office or just join us; we meet the second Tuesday of each month, at the Coos Bay Visitor Information Center, conference room, from noon – 1 p.m. Member of the Chamber’s Tourism Committee met on September 27, 2018 to discuss the future of the committee and its goals for 2019. During the course of the meeting it was determined that the group would meet quarterly, except during the months immediately preceding our largest event of the year, Travel & Tourism Week events, including the Bay Area Brigade. Location and time of the meeting will change in 2019. The meeting will remain the third Thursday of the months in which we hold meetings but will now be held in the Conference Room of the Coos Bay Visitor Information Center at 8:00am. The next meeting of the Chamber Tourism Committee will be Thursday, January 17th. One of our primary goals for 2019 is increasing communication within the community about the importance of tourism to the Bay Area. As this goal dovetails with a goal of the Coos Bay-North Bend Visitor & Convention Bureau, a joint monthly newsletter began going out to Chamber members and others in the community focusing on important news and activities happening in tourism in the area. The plan is to send this newsletter via email the first week of each month. If you are not currently receiving this newsletter, you can sign up at https://oregonsadventurecoast.com/industry-news/. Make a Bigger Splash, with more events including the Bay Area Brigade. Suggestions included a Street Party with the BBQ post Brigade being open to those who participate and those who do not; invite local attractions/organizations to have tables/booths at street party; invite the Surfrider Foundation to do demonstrations or activities on the Boardwalk; appreciation lunches for Fire and Police in both cities. Work closely with the Regional tourism groups that have been forming – Travel Southern Oregon Coast, the Oregon South Coast Regional Tourism Network, and the Oregon Coast Visitors Association – to help promote the area to keep visitors here longer. (As noted above) Along with the VCB, create an Industry Newsletter to send updated information, news and other data to industry professionals and interested citizens in the area. This newsletter would allow the committee to promote such activities as the Ambassador program and the activities for Travel & Tourism Week. Increase community communications with Monthly Articles in The World from a variety of committee/Chamber members – on topics that highlight the importance of tourism to our economy. Host FAM tours for local frontline workers – 1/2 day mini-tours of our attractions to help our frontline staff help our visitors find great things to see & do, for a minimal fee. Renewed push for the Community Ambassador Program – as a committee, encourage businesses to have their staff go through the online program. It is easier to access now. Help distribute new collateral from the VCB to local businesses. The last few month have been a mixture of County government, Candidate forums, the Oregon business plan, SBDC and an update on the Jordan Cove Energy Project, which was attended by almost 80 folks. There will be two WBC programs in December, leading into our Christmas and New Year’s hiatus. The first WBC program of the new year, will be on January 9th with Carmen and Annie, of 7 Devils Brewery, chatting about their Drinking Civilly program and more. Currently we are scheduling the 2019 portion of our season, from January through May. If you have a topic, issue or business you would like to hear more about, please give me a call or note. When I entered the work “initiative” into my computer, I got a definition. When I typed “finishiative” into it, I’m told it isn’t a word. But it should be. The two words are defined as follows, initiative: the first step, the act of setting a process in motion, the ability or willingness to take the lead. Finishiative: the last step, the act of completing, the willingness to take a project or mission to its logical conclusion in optimum time. Both of these are essential to character, to growth and success in an individual, and for successful community development. Too often, folks aimlessly wander through life and end up with a load of guilt and regrets because of the many things they wanted to do but never got around to start. Others wind up with the same guilt and regrets because they had dreams, with some initiative, started many projects but never finished most of what they began. This community can grow if our leaders will genuinely take the lead, exercise wisdom and initiative in getting work underway; if citizens involve themselves willingly to accomplish it and if all will focus on finishiative. While there are many ways to promote your community, let me suggest you look at your Chamber. Are you interested in economic development, education, tourism, developing leaders, promoting local business or improving transportation to Oregon’s Bay Area? Your Chamber has people, your friends and neighbors, working on these and more. So grab the issue important to you and come on down and join us. In the Bay Area Chamber of Commerce, we are all willing to “Step UP” and make a difference. The Bay Area Chamber of Commerce, remember our business is helping your business. And like us on Facebook. Top 10 reasons to join the Chamber: Number 3, Create networking opportunities. As a business person one of the most important things you do is to get the word out about what you produce, its excellent value, your great staff and where you can be found. In today’s world they call that networking. Here are just a few of the great networking opportunities your Chamber provides. Business after Hours takes place the last Thursday of each month from 5 to 7 pm. It’s an opportunity for you to showcase your business, your staff and your products using an open house format with food and drink. Our Ambassadors welcome your guests. There’s a short formal presentation, supplemented with tours of your operations by your staff. With turn outs which range from 40 to over 100, what a great way to connect your business to the community. The Wednesday Business Connection is held every Wednesday from September through May at the Mill Casino. Each week has a sponsor which is featured in all the event advertising during that week. The sponsor also gives a short Business Spotlight about their operations. Generally, before the featured speaker we have an open mic enabling you to announce special sales, products new staff members or events. Lastly, we end the session each week with the drawing of business cards to door prizes provided by member businesses who are recognized for the contribution. How about our events for networking, like the Economic Outlook Forum, the Annual Chamber Awards Banquet, the Highway 101 Clean Up Brigade, the Bowling Party or the Golf tournament? Why not get serious about networking? Come take advantage of your Chamber opportunities. The Bay Area Chamber of Commerce. Remember our business is helping your business. And like us on Facebook. With March we welcome in the beginning of Spring, tons of daffodils and more visitors showing up on the South Coast. Already this month you hosted the 3A Basketball State Championships at Marshfield and North Bend high schools. So what’s next? Coming up March 8, 9 & 10 is the 30th annual South Coast Clambake Music festival at the Mill Casino-Hotel. Listen and dance to the likes of Barn Door Slammers, Bay City Swing, The Young Bucs, Gator Nation and more. See the festival website, clambakejazz.com, for information about the event and how to get tickets. How about a little walking, talking and sipping with your friends, old and new? March 15th, from 5 to 7 pm is the quarterly Sip & Stroll in downtown North Bend. With program and wine or beer glass in hand, guests will stroll from location to location in the charming downtown sampling wine or beer, with all the money raised will benefit a pinning ceremony for the Southwestern Oregon Community College nursing class of 2019. The event starts at Engles Furniture at 5 pm. Why don’t you check out the local restaurants for their specials and make a night of it. Now is also the time to get ready for that mass of summer visitors we can expect. Saturday March 23rd, SOLV sponsors its spring time Great Ocean Beach Cleanup from 10 am to 1 pm, on many of our local beaches. Over the past decade, SOLV volunteers have kept more than 4,000 tons of debris from entering Oregon waterways and the Pacific Ocean. So, shake off those soggy winter memories and let’s get ready for company along our beautiful coast! Remember Our Business is helping your Business. And like us on Facebook. Country singer Aaron Tippin had a song a several years ago entitled, “You got to stand for something or you’ll fall for anything”. Our Legislative Action Team (LAT) takes that to heart. It’s important for your Chamber to promote those things which give us a positive economic climate to grow your business and create a healthy community for your family. The LAT has actively participated in every legislative session since 2011. In the 2018 short session, they tracked and worked the bills in support of the Oregon State Chamber of Commerce (OSCC) Legislative Agenda. While we have not been successful in every fight, the Chambers of Commerce in Oregon, are having an impact in Salem. The LAT, over the past few years, has developed a strong relationship with our legislators through the OSCC Chamber Day at the capitol, twice monthly teleconferences with them which we sponsor with the college, and direct contact with their offices. During the session, our Team meets as many times as necessary, each month, to be timely and effective. The 2019 long session at the legislature has already been filled with challenges for Oregon businesses and communities which the LAT, joining with other Oregon Chambers, has worked to try to resolve favorably for you. Additionally, your LAT is actively participating in many other local issues, to make a difference for you. Too often we think if we had more time, assets or help, we could really get something done. I am reminded of an old hymn which says “To the many duties ever near you now be true. Brighten the corner where you are”. So, Chamber member if you want to have an impact give us a call and join the LAT. Customer service is key to the vitality of our community. Businesses strive every day to not only meet, but exceed their customer’s needs. Have you had an outstanding customer service experience at a local store or restaurant that made you want to tell everyone about it? It’s that kind of service the Bay Area Chamber of Commerce honors each quarter with its 5 Star Customer Service Awards. The nominations will be evaluated by the Chamber’s Executive committee. Quarterly awards will be given at our weekly Wednesday Business Connection luncheon. A yearly award for outstanding customer service will be chosen from the year’s winners and given at the Bay Area Chamber of Commerce Annual Awards Banquet. There is no guarantee, however, that there will be an award for each quarter without your nominations. A commitment to customer service. A consistent commitment to customer service. With demonstrable pride in, and ownership of, that organizational culture by all employees. Customer follow up and product satisfaction. The organization should consistently request and listen to feedback from its customers. With that information they strive to improve their service and the experience for the customer. Additional Insights. There is always a prompt response to customer requests and keeping to agreed-upon timelines, combined with consistent delivery and quality. Information is always available by all appropriate channels for customers, by understanding how they want to receive that material and providing it. Other key areas of consideration can include: professionalism, knowledge, dependability, attentiveness and innovation. Nomination forms can be found on the Chamber website, oregonsbayarea.org , or stop by the BACC office in Coos Bay. They are simple to fill out, being only a single page. So, thank you for taking the time to help recognize and celebrate great businesses in our area. Remember our business is helping your business and like us on Facebook. Top 10 reasons to join the Chamber: Number 2, Increase your visibility in the community. As a business person one of the most important things you do is to get the word out about what you produce, its excellent value, your great staff and where you can be found. In today’s world they call that being visible. As a member, your contact information is in our annual business directory. We produce 5,000 copies each year which are well distributed locally and regionally. Additionally, you are listed on our website, available to those who are seeking your products or services. We also regularly post your announcements to our Facebook page. Why not be the focus of an evening by holding a Business after Hours at your operation, with two hours to acquaint everyone with what makes you special? Also, our Wednesday Business Connection luncheon gives you many opportunities to promote yourself. Whether it’s the open mic you can use to introduce new staff or products, door prizes provided for drawings at the end of the session or giving a business spotlight. Visibility comes through sponsorships too. Sponsorships are highlighted in all our activity advertising. Weekly sponsorships are available for WBC. The Economic Outlook forum has numerous spots available, as does our BACC Awards banquet in January. Or maybe you would like to be a participant, bringing your team to our bowling party or golf tourney or the Highway 101 clean up. How about becoming active in one of our committees like Tourism, Education or Business Development? Not only are you visible in the community, but you are making it a better place to live. So, come on down and join the team today, for a better tomorrow. Remember our business is helping your business, and like us on Facebook. Wow, did we have a great evening this past Saturday with the Bay Area Chamber Awards Banquet—Step UP! Wonderful food, unique entertainment featuring a return of the Chamber Pots, and a variety of awards and recognitions which truly make this a community celebration. Citizen of the year is an honor given to a member of our community who, by consistently giving of their time, energy and resources, has made Oregon’s Bay Area a better place to live. For 2018 that award was given to Jennifer Groth. Besides serving 8 years on the Coos Bay City Council, she actively stepped in many other tough issues important to the community, which included the gas tax increase proposal, the Community Enhancement Plan and county wide tourism. Jennifer has made volunteer service a way of life. The Business of the Year award is given to a business that has exhibited excellence in products and customer service; contributed time, manpower and resources to community improvement projects; and excelled in employee relations and training. The 2018 award went to 7 Devils Brewing Company, honoring their excellence in business and strong commitment to the community. Chamber Member of the Year is given to that member, who through their efforts, has carried us to a new level of community service and impact. In 2018 This honor went to Deena Gisholt. She has been a red coated Ambassador, on the Leadership Coos steering committee, an active Membership team organizer, part of the Chamber Board of Directors and an officer for several years. A strong supporter of the Chamber, Deena also encourages her staff to be involved. Additionally, Nicole Ault, a first-grade teacher at Blossom Gulch Elementary School, was recognized as Educator of the Year. The City Councils of Coos Bay and North Bend received the Community Award as a dedicated group of volunteers doing difficult and sometimes thankless work to keep local government on track for their citizens. What a great evening! See you at next year’s Banquet on the last Saturday of January. Remember, our business is helping your business. And like us on Facebook. I am active with the Bay Area Chamber of Commerce because I feel strongly that the business community supports one another and works to encourage the growth of our region. We must get back on a sustainable foundation where we are better able to provide for ourselves. I belong to the Chamber because I like the forward movement I am seeing. We have moved from a quaint networking group to building a business advocacy powerhouse. I feel we are making a difference in our area. Our voice is being heard and we are actively representing our 550 members. We are building connections with key people and businesses to help move this area forward. 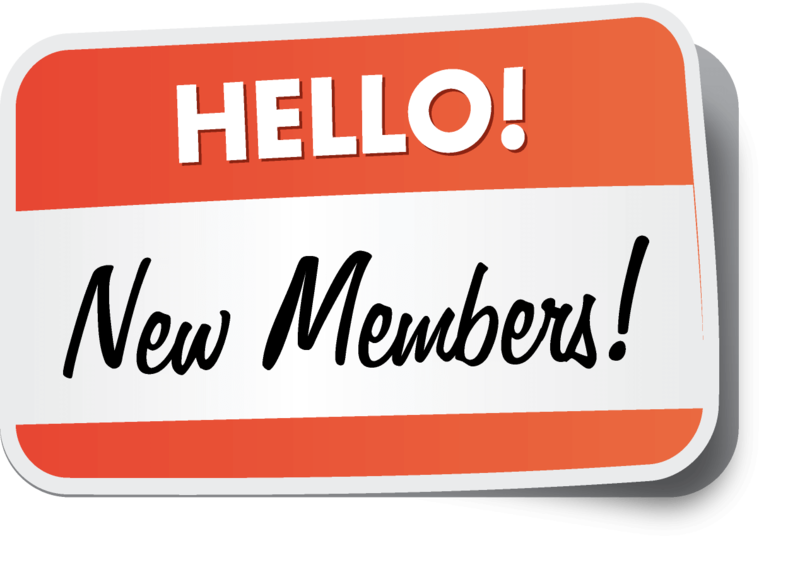 We are doing this all while we continue to build our membership providing those key networking opportunities that strengthen our team. I am a chamber member because: 1) I like to stay connected to my peers and important community issues. It makes me feel like I have a voice and can help not only my community, but also my own business. 2) I appreciate the networking and reciprocity that occurs between chamber members. 3) I enjoy participating in community events (social outlet). Being involved allows me to be aware of all the events and participate as I am able. I believe that as a business owner, I have a responsibility to invest my time and money back into the community that supports me and my family. As the community flourishes, so will my business. It is simple. We are stronger, have more influence and clout when we work together. We will each be successful when we are all successful. So, if you want to make a difference for your business and your community, join us today. A momentous movie, to some of my generation, was Smokey and the Bandit. It introduced us to the Pontiac Trans Am. For over 25 years following that movie, I collected articles, pictures and books on the TA. I watched its styles and horsepower change. Finally, I found a late model in perfect shape, low miles and a great price. To everyone’s surprise, I brought it. At long last, a dream realized. Over the years, your Chamber has been the source of many dreams realized. The Tourism committee began with a focus to extend the seasons people come to visit us. They also believed tourism could become a significant part of our local economy. Their success has proved them right. Leadership Coos was formed to educate community members to the many facets of our area. It also had a goal to help produce the next set of community leaders. Today you find its graduates leading local business, government and agencies. The Wednesday Business Connection Team (WBC) stages a weekly business or community related forum, which draws over 45 participants each week, from September through May. This provides folks networking opportunities, current issue information and political insights. Besides regularly updating the program offerings to be timely and important for you, last year the team redesigned the sponsorship opportunity from monthly to weekly to enable more businesses to have the chance to promote their operations. So, who will be the next “Wednesday Business Connection”, the new dream realized, of this Chamber year? Our community has many needs and opportunities that you, as a chamber member, can make happen. Come on down and we will find the Team for you. Reason #1 to join …. Joining your local Chamber can be a huge credibility booster. In fact, Chamber membership can boost your business’ reputation by 57%. Consumers often use their Chamber as a resource when seeking out local goods and services. As more and more community members and consumers perceive your business as reliable, you’ll increase your potential for more referrals and new business deals. Your Chamber of Commerce supports you as you experience this growing positive perception of your business. Joining your local chamber can positively affect other organizations’ perceptions of your business, and also the views of consumers. Statistics show that 63% of consumers are more likely to purchase from a business that is a chamber of commerce member, and 44% are likely to view those businesses more favorably (Source: American Business Magazine). Plus, some businesses also give discounts for chamber members, a great advantage for small or new entrepreneurs. The reliability and trust your company gains through chamber of commerce membership will boost perception of your brand as an industry leader, and possibly give you the potential to increase revenue. INCREASE YOUR VISIBILITY IN THE COMMUNITY. Visibility comes through sponsorships, too. Sponsorships are highlighted in all our activity advertising. Weekly sponsorships are available for WBC. The Economic Outlook Forum has numerous spots available, as does our BACC awards banquet in January. Or maybe you would like to be a participant, bringing your team to our bowling party or golf tourney or the Highway 101 cleanup. Timm Slater is executive director of the Bay Area Chamber of Commerce. For more information on your Chamber, email us at timmslater@oregonsbayarea.org. THE CHAMBERS LEGISLATIVE ACTION TEAM MEETS WITH LEGISLATORS TWICE A MONTH DURING SESSION. THEY ASK THE TOUGH QUESTIONS ABOUT PROPOSED LEGISLATION AND ADVOCATE FOR POSITIVE CHANGE. includes electricity, gas, water, sanitary, 100Mbps Wifi access. use of on site server with owner-supplied hard drive. The server is great for lots of secure file storage, user unlimited, and remote access for uploading and receiving (like a Dropbox). Friends of Sol Suites and the Think Tank (current and previous tenants, Think Tank renters) – Sol Coast Consulting & Design, LLC, Visual Graphics and Design, Oregon Health and Science University’s Campus for Rural Health, 7 Devils Brewing Co., Ocean View Enterprises, Renew Oregon, Coos Watershed Association, Oregon Coast Music Association, Surfrider Foundation, Celebration of Oregon Science (COOS), Octoberfish Committee, Coquille Economic Development Corporation, and many more! Full private office space at Sol Suites!